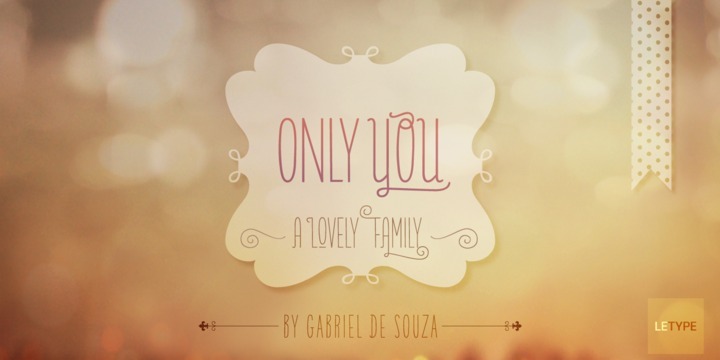 Only You is an amazing handmade romantic font. The typeface was initially introduced to brighten up projects and transforming them into something more beautiful. The typeface is known for its unique quality to stumble upon uppercase letters and lowercase letters impeccably. With 888 glyphs, the incredible typeface has a special alternative for all letters as uppercase. This works towards creating perpetuity of combinations. The font works well in softwares that support OpenType function.